Here is a unique and outstanding dish from the author of the Vietnamese Caramelized Pork recipe at RecipeTin Eats. 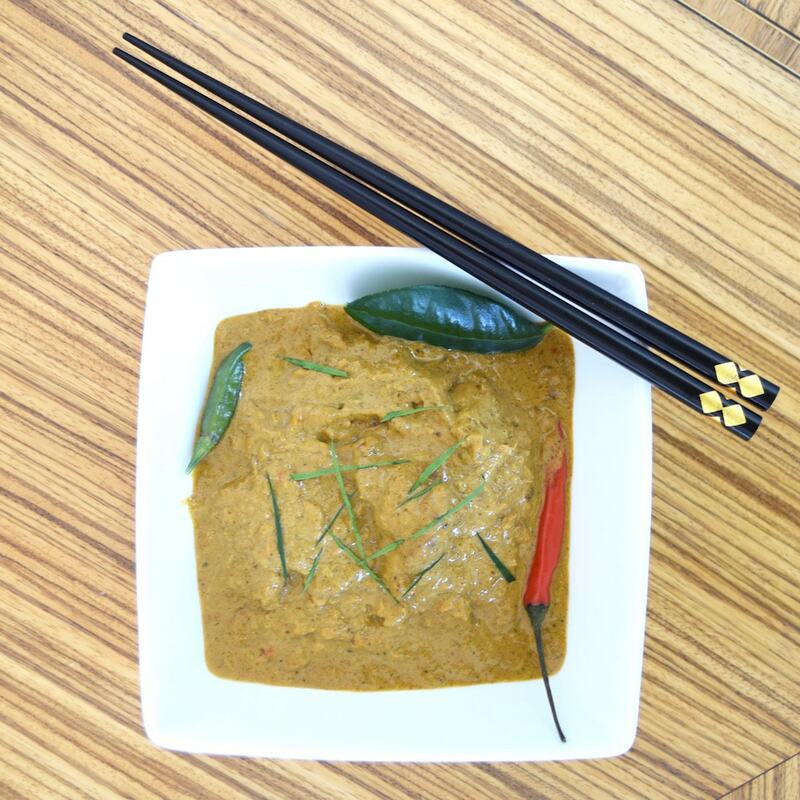 This is a departure from most curries in that the curry sauce is actually based on a traditional Malaysian peanut satay recipe. And that’s what makes it so delicious. If you make Thai, Indonesian, Malaysian or other Asian foods, you’ll most likely have most of the ingredients you’ll need in your cupboard and spice rack. When you start browning the chicken after it has marinated, you may just stop and think that it smells so good that maybe it doesn’t even need the satay sauce. If you do that, and just let it cook in the coconut milk, please let us all know how it turns out. Combine satay-seasoning ingredients in a small bowl. In a larger bowl, combine chicken with 3T of the satay seasoning and the ½ onion. Marinate for at least 3 hours, preferably overnight. Heat 1T oil in a nonstick fry pan over high heat. Add the chicken and cook until browned all over. Transfer chicken to a bowl. Reduce heat to medium-high and heat 1T oil. Add chili and onion and sauté until soft. Add the garlic and remaining satay seasoning and cook for 1 more minute. Add the chicken broth and 0.5 cup of the peanuts, then transfer all the mixture into a food processor or blender. Puree until mostly smooth, then return it to the fry pan. Add the remaining 0.25 cup peanuts, kecap manis, dark soy sauce, coconut milk, peanut butter and water. Stir to combine. Crush lime leaves in your hand to release their flavor and add them or the lemon grass to the sauce. Return the chicken to the sauce and cook at a medium-low simmer for 15 about 15 minutes, until the chicken is cooked through and the sauce has thickened. Serve with rice, garnished with peanuts and fresh cilantro.